Internships are a big part of a student’s road to success. Not only do they serve as a bonus on a CV, they also provide a first look into what it’s actually like being in the profession. At 4 Axis, we always look to give young students the opportunity to learn as much as they can about the world of app development and coding, a field that is becoming increasingly popular as technology continues to take up a major part of today’s world. But what is it really like being an intern at 4 Axis? Today we decided to find out by asking two of our very own..
Amila Wijayarathna and Nilupul Sandeepa were interns at our company, having recently completed a six month period of training with us. They are both third year students at the University of Moratuwa, working their way through a degree in Information Technology and have opted to continue with us on a part time basis. How did you come to know about 4 Axis Solutions and what made you want to work with us as an intern? 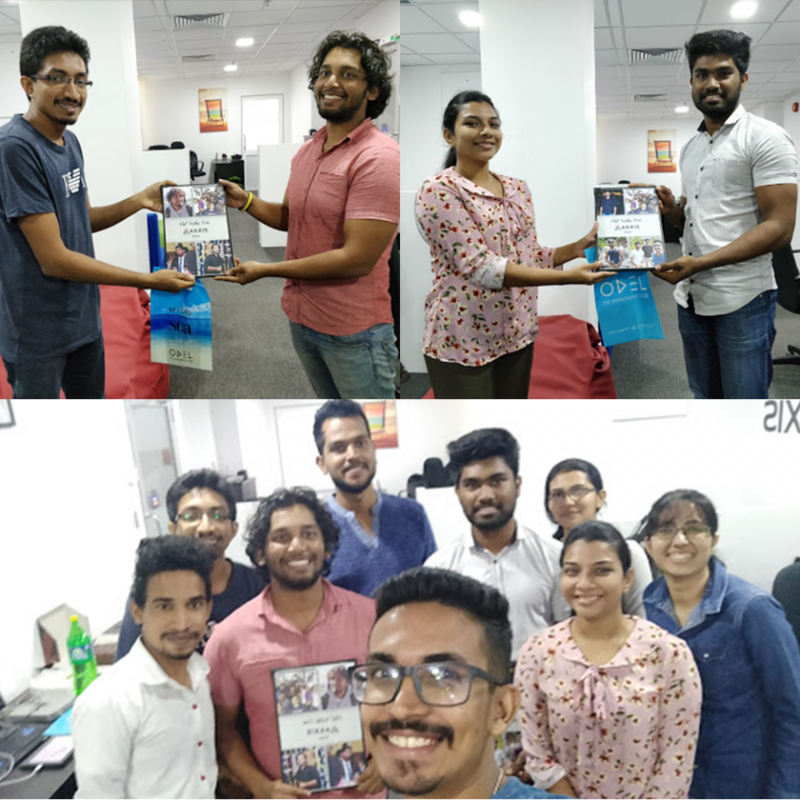 Amila/Nilupul: Many of the seniors and third year students at our university strongly recommended 4 Axis Solutions as an ideal place for an internship. Afterwards we learned that the founding members of the company had also been students at our University so we definitely thought it would be an advantage to work under someone who had gone through the same study stream that we are currently engaged in. Were there any new technological challenges you faced while working here? Amila/Nilupul: In University, we’d only worked with Android apps and devices. But the 4 Axis Team creates and develops art apps for iOS devices which was something entirely new to us. It was definitely a challenge switching from Android to iOS and it took a lot of getting used to, but it was a valuable learning curve for us. Was there anything new that you learned about coding or the IT field in general? Amila: In addition to working with iOS, I learned how to use Firebase and the Objective C coding language. Nilupul: I got the chance to work with openFrameworks for the first time. That was something entirely new to me. Did you learn any new skills outside of coding? Amila: This was a first time experience working in an office for both of us. So we really understood how things work in an office environment. Nilupul: We also learned what it means to work with a team. We were able to improve our interpersonal and communication skills a lot. What was it like working with the 4 Axis team, specifically the senior software engineers? Amila/Nilupul: When we first joined, we immediately felt welcomed. All the team members are friendly and easy to work with and within the first few months we developed a close friendship with all of them. The senior software engineers were very helpful and patient. They taught us a lot of the new things we were unfamiliar with and were very willing to share their knowledge with us. Do you have any fond memories of your time here so far? Amila: The entire experience was memorable. The company trip last year was fun. I particularly enjoyed the little games we had in office too.. We shared some good laughs during those games. Nilupul: I enjoyed last year’s trip too. That was our first trip with the team and that’s when we really got to know the rest of them. I also liked our one-day trip to Anantaya last month. Amila plans to follow his love for all things Android and work his way up the ladder in the Android world, while Nilupul hopes to have his own startup someday. In their time here, our two young team members put in an immense effort and it has indeed been a pleasure guiding them during their internship. We’re definitely proud to have them as a part of our team and we wish them all the very best in their studies and in achieving their dreams.